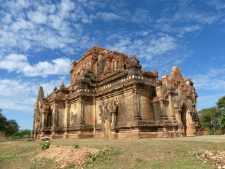 On returning from Myanmar we created, in collaboration with our local partner, a superb guided trip of 2 weeks. In small groups of 4 to 8 people, you will slowly immerse yourself in this complex and mesmerizing culture. There are more than 135 ethnic groups that are mainly made up of Buddhists but also of Hindus, Muslims, Catholics, Protestants or Animists. Among the sites you visit you will discover Yangon (Rangoon) and its evocative mixture of colonial, ancient and more recent architecture; the pagodas of Bagan dating from the XIth century and last symbols of the Burmese Empire; the city of Kengtung which is the confluence of the ethnic groups of the North-East; Mandalay the religious capital of the country; and finally Inle Lake and its stilted villages in full festival when you arrive. 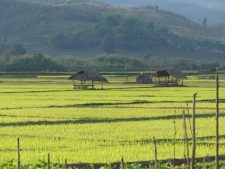 Myanmar is presently undergoing political change and certain regions of the country remain problematic in terms of human rights. Your journey will enabled you to measure how intelligent and locally-based tourism supports and strengthens the local population, another reason why this journey exists. Day 1 : Arrival in Yangon. First discovery of the city with the colonial district. 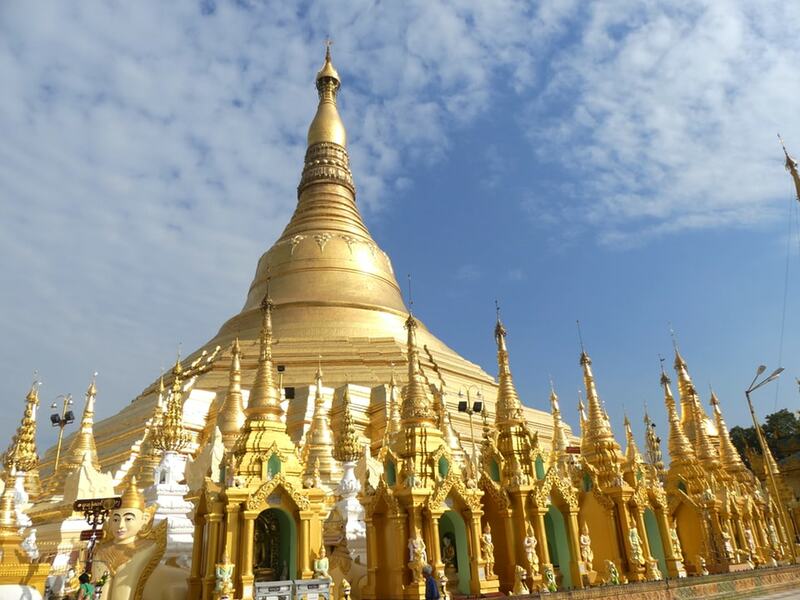 Visit the Sule Pagoda, then the 70 meter-long reclining Buddha at the Chaukhtatgyi Temple followed by the wonderful Shwedagon Pagoda at sunset. Night in Yangon. 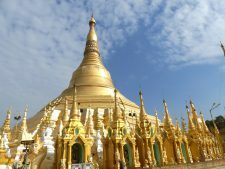 Day 2 : Yangon–Kyaingtong (Kengtung). Transfer to the airport. Flight to Kyaingtong (direct or via Tarchilake and transfer by road). City tour and around Naung Tung Lake. Visit the hill for the panoramic view of the city. Night in Kyaingtong. Day 3 : Kyaingtong (Pin Tauk). Departure by car (1h) and arrival at Akha village. Add 2h walking in the mountains to visit the ethnic Ann village and continue about 1h30 walking to discover the village Akha. 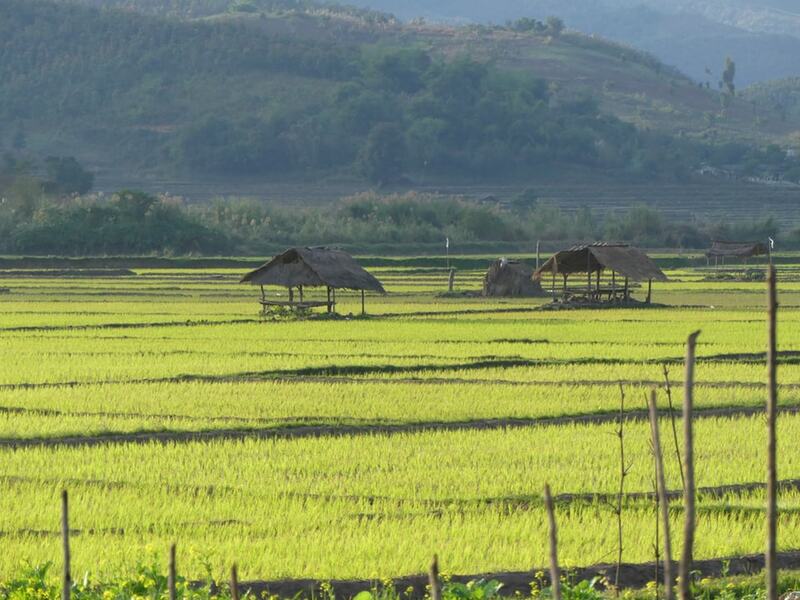 Then visit the village Wan Pauk on the way back to encounter the Palaung ethnic groups. Return and overnight in Kyaingtong. Day 4 : Kyaingtong (Ho Kyin). Departure for 45 min by road. 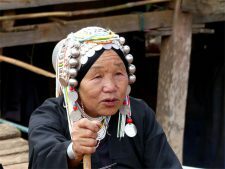 Continuation by walking for 1h30 to meet the Akha ethnic groups in traditional costume in their village. Then, continue by road for 30 min to visit another village of the Akha ethnic group. Possibility to visit the other villages of the Akha ethnic group by adding 30 min and 15 min. Return and overnight in Kyaingtong. 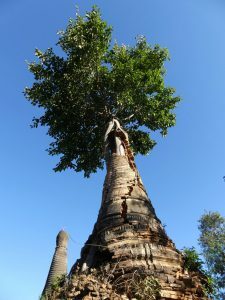 Day 5 : Kyaingtong–Mandalay. 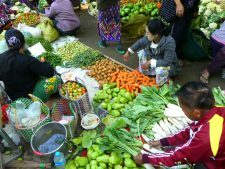 Stroll in the fascinating central market of Kyaingtong where some of various ethnic groups are found in traditional dress. 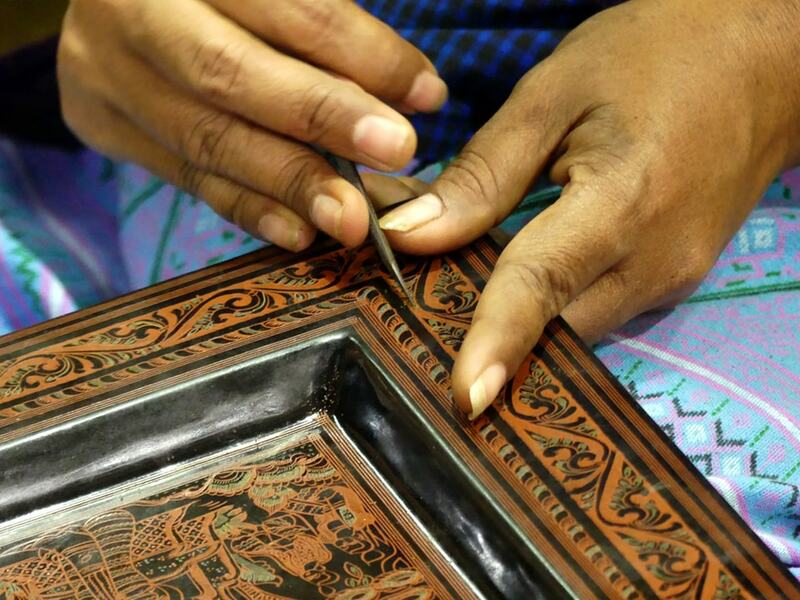 Visit of the ancient Thai–Shan monastery and discovery of a Shan lacquer workshop. Flight to Mandalay. Transfer to the hotel. Night in Mandalay. 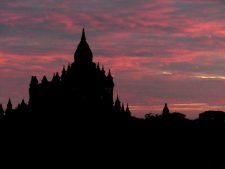 Day 6 : Mingun–Sagaing–Amarapura. Departure by private boat to Mingun (2h return cruise). 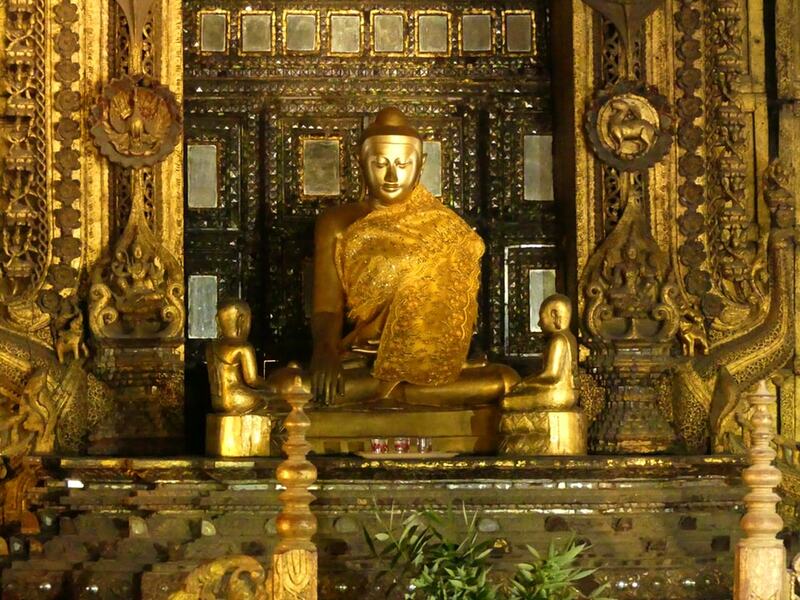 Visit the unfinished pagoda, the largest working bell in the world and the Myatheindan Pagoda. Return to Mandalay. 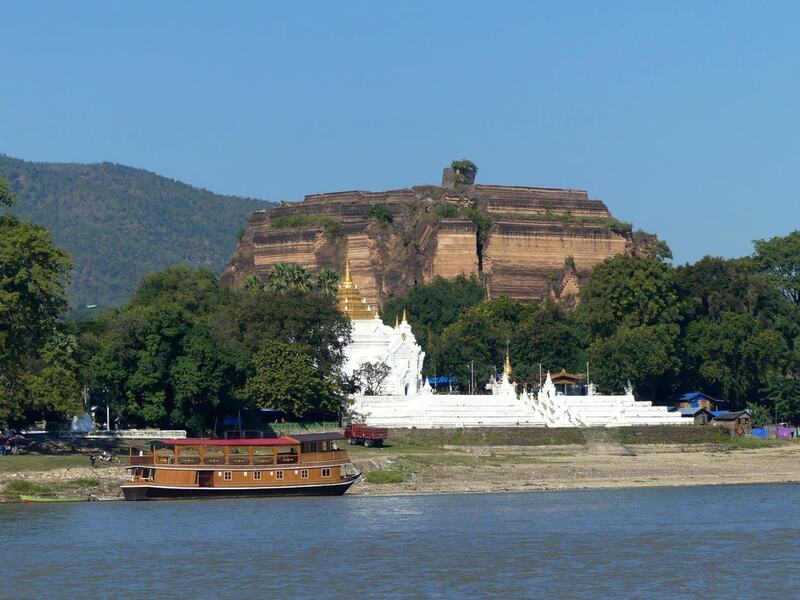 Continue to Sagaing to visit its hill covered by a “thousand” pagodas and monasteries. Visit a traditional weaving workshop in Amarapura. Walk on the U Bein Bridge, the longest teak bridge in the world. Overnight in Mandalay. 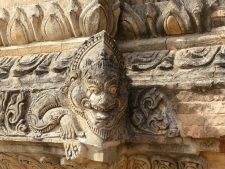 Day 7 : Mandalay–Bagan. 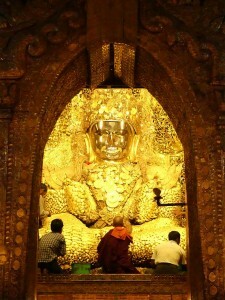 Visit the Shwenandaw Monastery, Kuthodaw Pagoda, Kyauk Dawgyi, Mahamuni Pagoda. Drive onto Bagan (4h drive) through many villages. Arrival in Bagan in the late afternoon and transfer to the hotel. 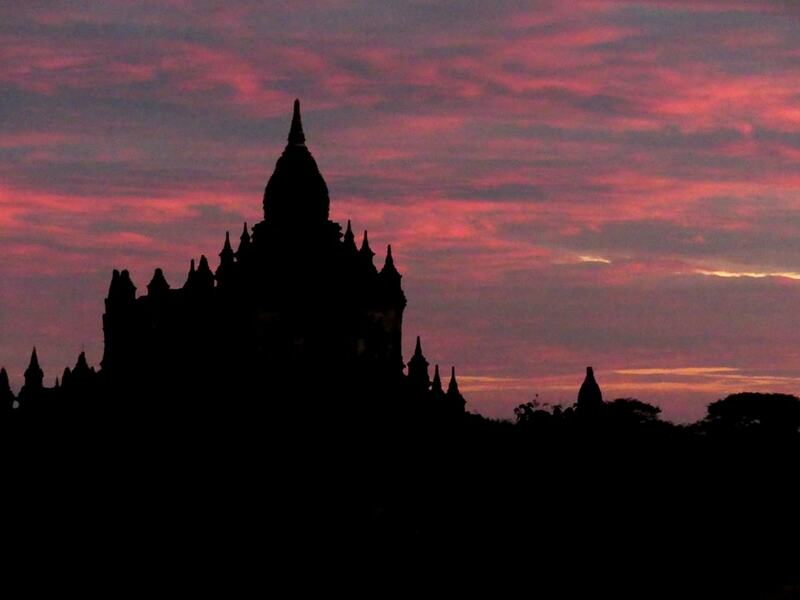 Night in Bagan. Day 8 : Bagan. 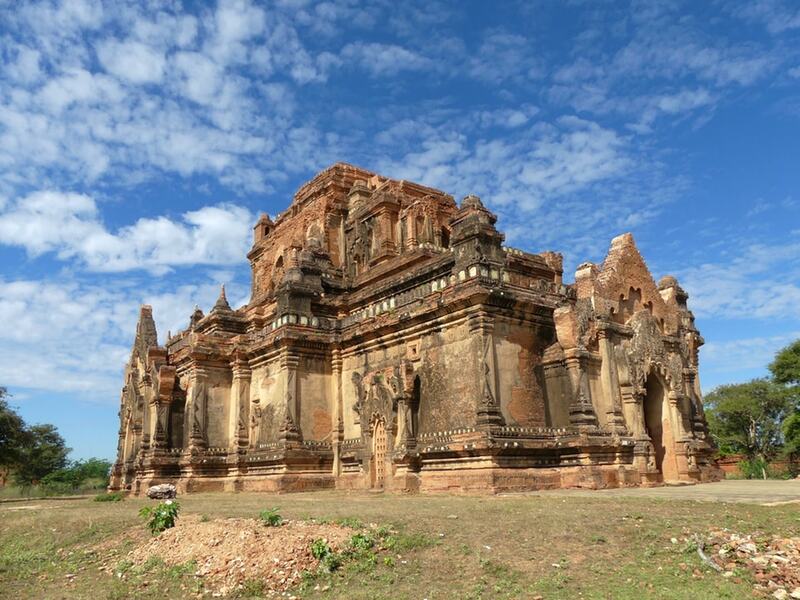 First discovery of one of the most impressive archaeological sites in Asia. 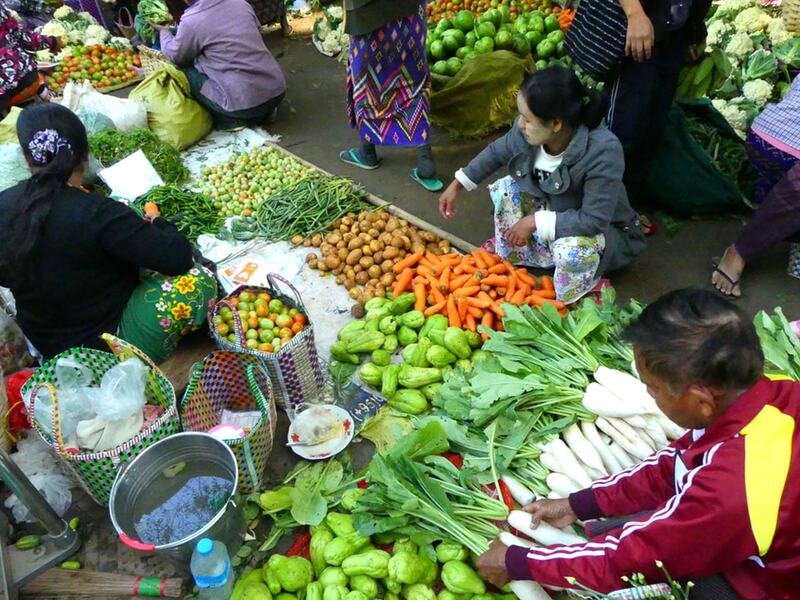 Visit the colourful Nyaung-U market, the Shwesigon Pagoda and a traditional lacquer workshop. Visit the temples Ananda, Manuha, Nanhpaya, Htilominlo, Dhamayangyi. 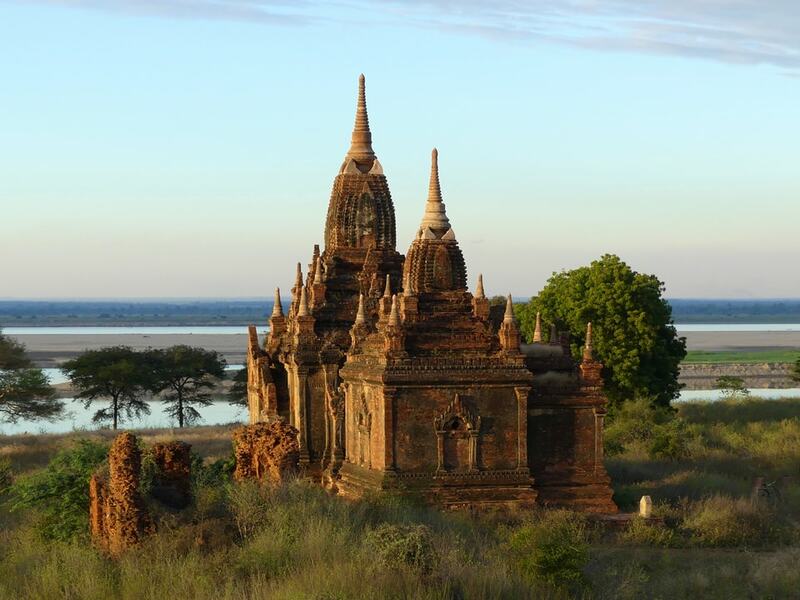 Enjoy a sunset from a hill overlooking Bagan site. Night in Bagan. 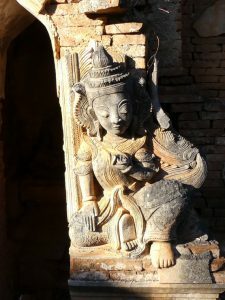 Day 9 : Bagan. Transfer to the pier to go to Kyun Thiri village. Crossing the Irrawaddy River by boat. 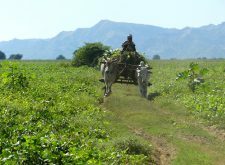 Visit of the village by ox cart. 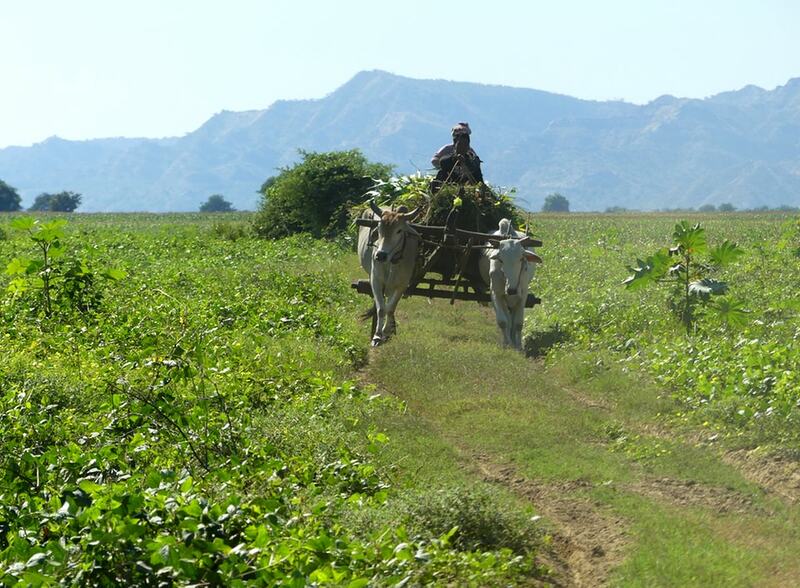 Discovery of the pepper, onion, peanut and pea plantations and the daily life of the villagers. Lunch at the small restaurant of the village. Visit of the village school. 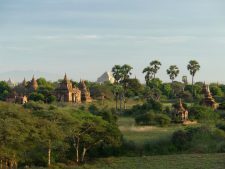 Return to Bagan by boat. Transfer to the hotel. Free evening at the hotel. Night in Bagan. 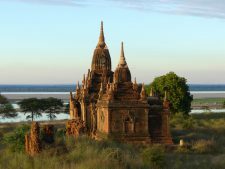 Day 10 : Bagan–Heho–Inle. Transfer to the airport and flight to Heho. Drive to Nyaung Shwe (1h). Visit Shwe Yan Pyae Monastery on the way. Transfer to the river boat. 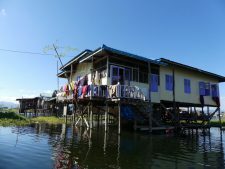 Tour by boat on the lake in the middle of villages on stilts and floating gardens. Visit the Phaung Daw Oo pagoda and workshops of craftsmen of all arts, a Burmese cigar factory, the village of silk and lotus fibre weavers. Then discovery of the Ngaphe Kyaung Monastery. 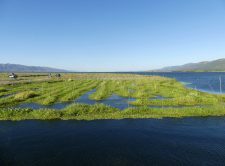 Day 11 : Inle (Sagar). Departure by river boat to Sagar through the small rivers and many villages (5h boat trip). Visit of the Sagar site, ancient royal city of the Shan ethnic group. And then, visit the pagodas of Tar Khaunng, the rice alcohol factory, the pottery villages. Back to the hotel. 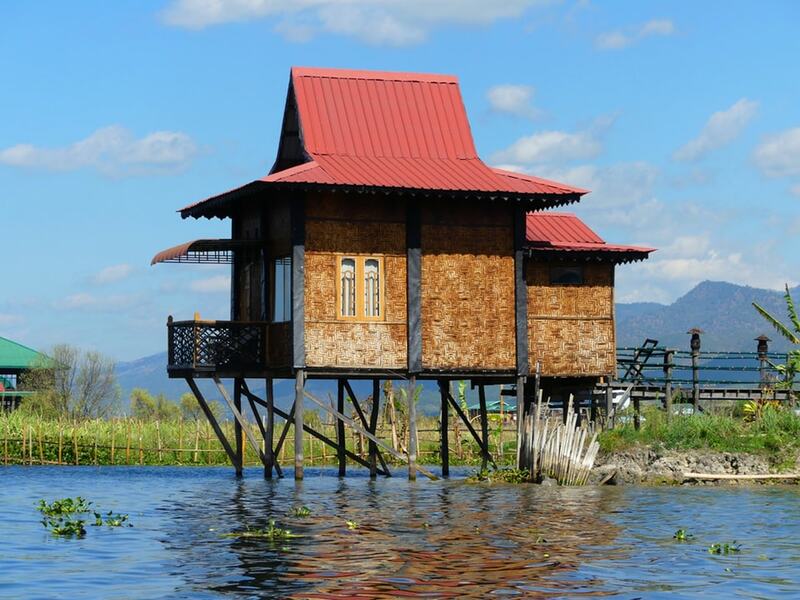 Overnight at Inle Lake. 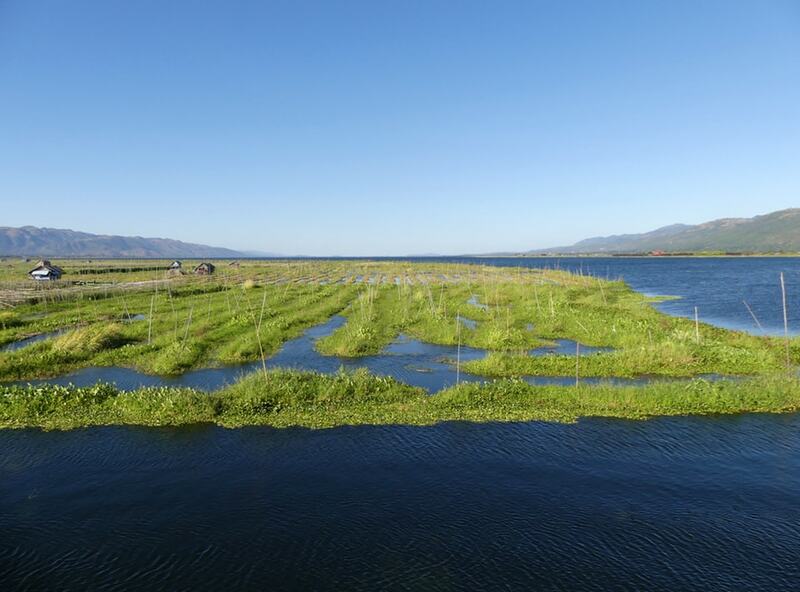 Day 12 : Inle–Indein. Depart early in the morning to enjoy the Phaung Daw Oo Pagoda Festival, one of the highlights of the lake festival. Enjoyable and evocative boat trip to Indein through the small rivers and the bamboo forest. Visit of the Indein site with a range of stupas dating from the 14th to the 17th century. Walk in a village with many traditional cultures. 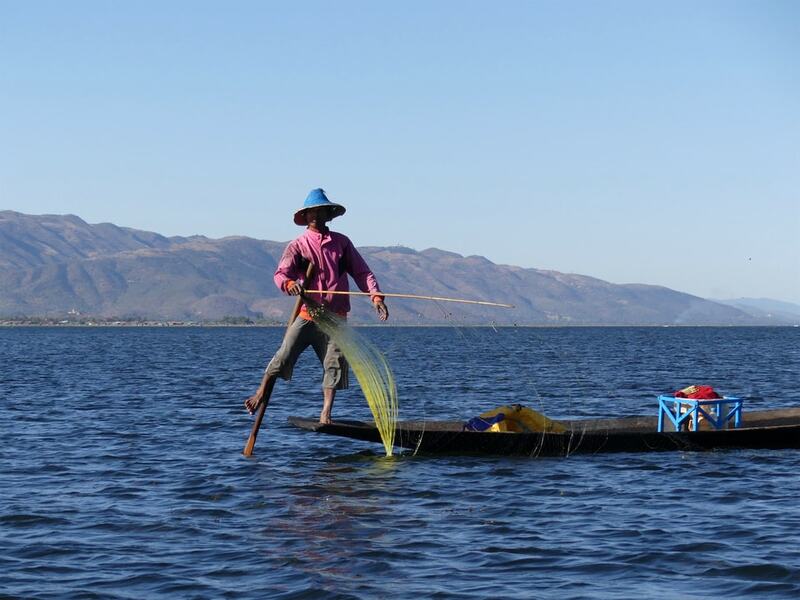 Overnight at Inle Lake. Day 13 : Inle–Yangon. Early morning departure to follow the Phaung Daw Oo Pagoda Festival. Transfer to the airport and flight to Yangon. Night in Yangon. Day 14 : Yangon. Visit the gemstone museum, Skotte market, Theingyi market where you can find Indian spices. Circular train ride in Yangon to discover the daily life of the Burmese. Transfer to the airport and return flight to Switzerland. Magnificent landscapes, lovely people, fascinating sites, a very well chosen itinerary and perfect organization. A country to discover soon before the invasion of mass tourism.